Direct mail works. That’s why your snail mail box is full. To build customer base growth (while maintaining good ROI), very few marketing methods meet the power of direct mail marketing. 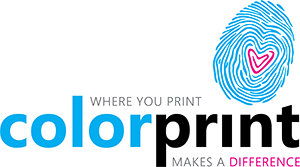 Whether your company needs a one-off direct mail piece or regular campaigns, Colorprint will customize your marketing for the highest impact and maximum outreach. Let us help you expand your customer base. Our team will review your direct mail plan and design, ensure its meets all USPS requirements, and is designed to access lowest possible postage rates. Mailing Consultations: When you’re ready to produce a direct mail piece, our staff will review your plans, discuss your postal options, and make sure you get the greatest impact for the lowest cost. List Procurement: We have solid trade relationships with list vendors that allow us to get just the right mailing lists for your business. Design: Our in-house creative design team can masterfully transform your ideas into high-impact direct mail pieces that bring you increased customer attention and improve your bottom line. Variable Data Printing (VDP): Also known as personalized printing, this technology lets you customize your direct mail pieces. Instead of delivering a single message to 1,000 customers, with variable data printing, you can print 1,000 or more unique documents with customized messages for each. VDP has been shown to dramatically increase response rates since you’re targeting your message as closely as possible. To get started on your direct mail campaign, contact us today! Complete our online form or call to request a quote.